The focus of Qatar Law Forum 2017 will be Goal 16 of the United Nations Sustainable Development Goals: Peace, Justice and Strong Institutions. If society does not offer peace, stability, human rights and effective governance based on the rule of law we cannot hope for sustainable development. Qatar Law Forum 2017 provides an opportunity to identify some practical steps toward the realisation of Goal 16. Given the standing of the delegates, the Forum provides an unparalleled opportunity for face to face dialogue and it is intended that as in previous Forums the impact of discussions initiated will continue far beyond the Forum. Following the successful format of the previous years, all sessions will be discussion based. 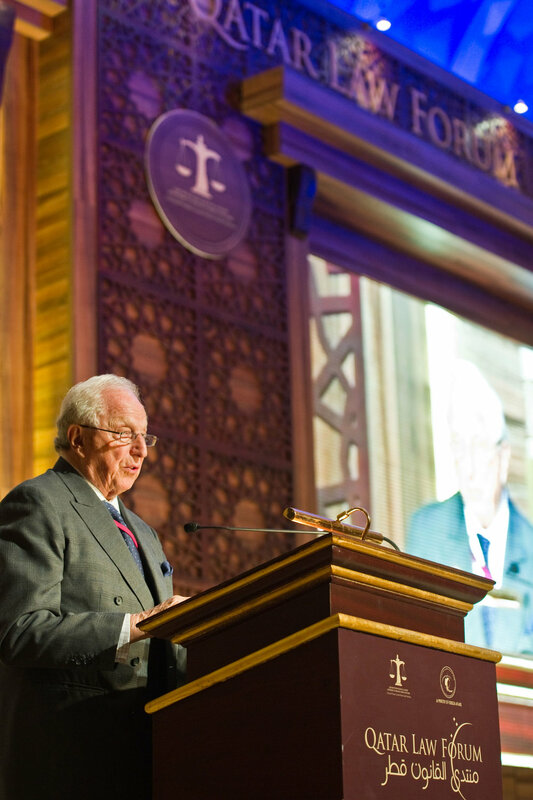 Integral to the programme is the role of young lawyers from around the world and within Qatar, and the Forum will play a part in further nurturing the cornerstone of a future legal community committed to the rule of law.